A field "wysiwyg" creates an editing element of an HTML page. There are several types of editors: TinyMCE, JCE, CKE and so on. Each editor provides standard functions of word processing. A part of them offer an advanced features for editing images and/or videos. Select an option to choose an editor of the wysiwyg field. This parameter lists all the installed editors in Joomla. 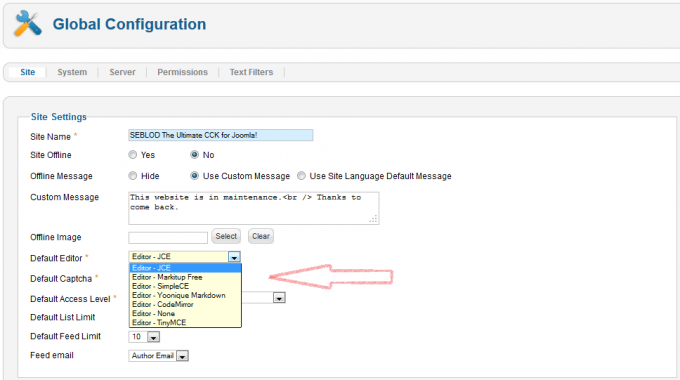 Select option "Use Default" in order to use the editor of the "global configuration" of joomla. option 2 (Modal Box): the "wysiwyg" field is displayed in the light box after you click on button. 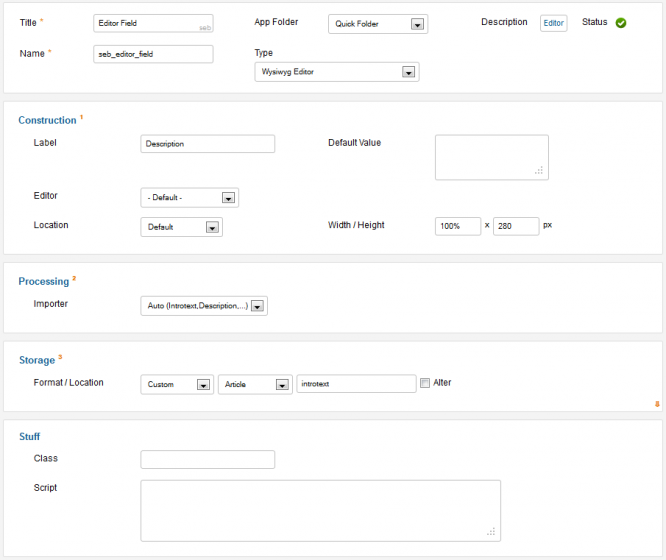 Required, write the dimension of the "wysiwyg" field in a form.